Having two kids is a game changer. Not only is your time split in half, but there is so much extra stuff that comes with having the second baby! 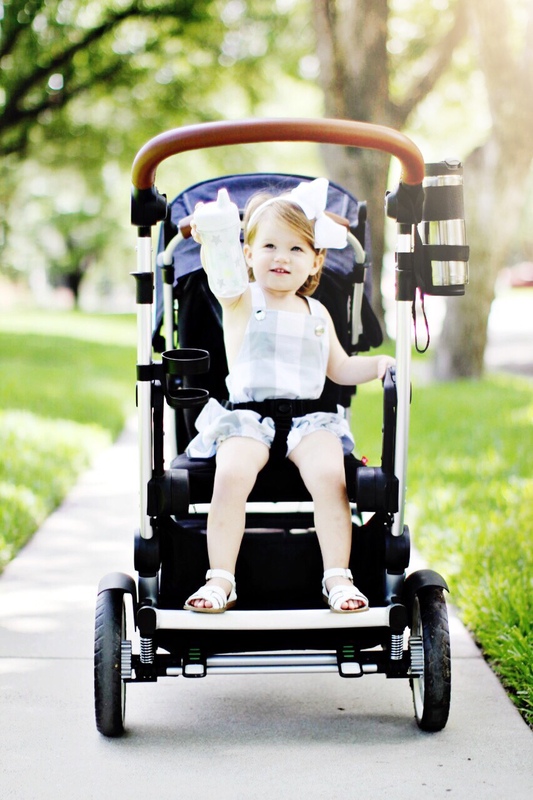 I recently got the Austlen Entourage stroller so that it would be easier when we go out as a family. I love the versatility of the Entourage – it can be configured 30+ ways! 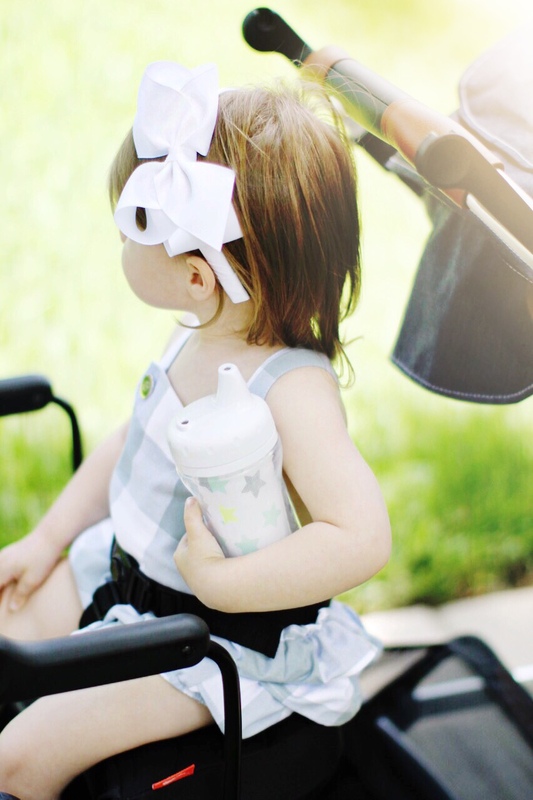 When Birdie and Boyce are both coming along, a quick push of a button turns the single stroller into a double. It is perfect for short grocery trips (you don’t even need a cart!) and has a chic design. Before, I would shudder at the sound of double-stroller, but with the Entourage, I am ready to get out and about. 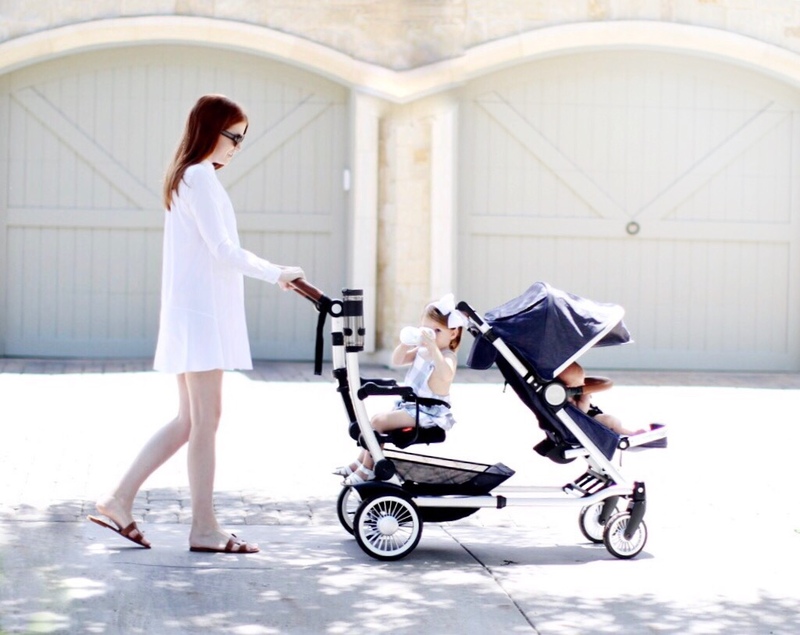 And today, you can win the Austlen Entourage stroller for either yourself or a mama you know needs one! 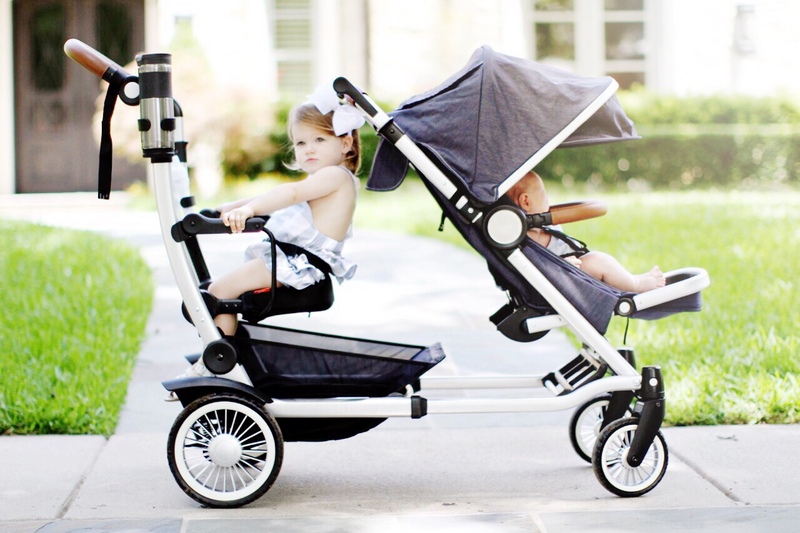 The winner will receive one Austlen Entourage stroller in black or navy (like mine!). Follow me, @venzedits and @austlen on Instagram. ‘Like’ the giveaway post on Instagram. Tag a new mom or mommy-to-be in the giveaway Instagram comments. One lucky winner will be chosen at random and announced on my Instagram account on July 6th; giveaway ends on Wednesday, July 5th at 11:59PM CST. Click below for legal giveaway guidelines. PROMOTION PERIOD. Promotion begins Wednesday, June 28, 2017 and ends Wednesday, July 5, 2017 at 11:59pm CST, when all entries must be received (“Promotion Period”). ELIGIBILITY. This VENZEDITS Austlen Giveaway (the “Promotion”) is only open to legal residents of the 50 United States and the District of Columbia who are 18 years old as of the date of entry, except officers, directors, members, affiliates and employees of the Sponsor(s), or any other party associated with the development or administration of this Promotion, and the immediate family (i.e., parents, children, siblings, spouse), and persons residing in the same household as such individuals. Void where prohibited. The Promotion is subject to all applicable state and federal laws and regulations. Need not be present to win. Multiple entries allowed. Entries must be received by giveaway ending date. You agree that by entering the Promotion, the Sponsor(s) may use contact information you provide for marketing purposes and to contact you regarding the Promotion in accordance with applicable law. All entries become the property of the Sponsor(s) and will not be acknowledged or returned. Mechanically reproduced entries not eligible. To Enter with an Instagram Account: To enter, an entrant must be a registered user of Instagram. If an entrant is not a registered user of Instagram, the entrant must visit http://instagram.com/ to register for free and download the free mobile application. Registration for and use of the Instagram platform is subject to Instagram’s terms and conditions and have no responsibility with respect to such registration or use. 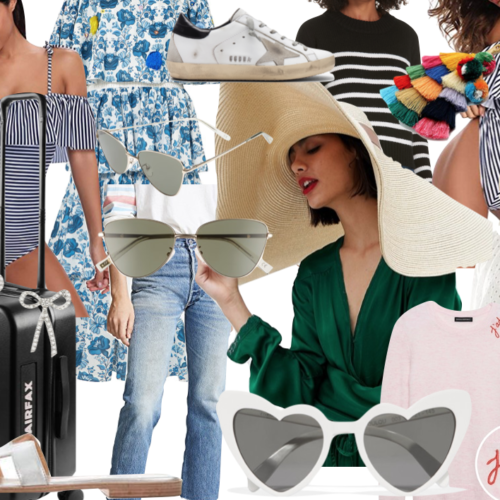 Instagram is a third party corporations and have not sponsored or endorsed rewardStyle, any Participating Brand or this sweepstakes, and are not otherwise affiliated or associated with rewardStyle, Inc., any Participating Brand or this sweepstakes. Creating accounts on Instagram is free. However, Instagram has its own respective terms and conditions that apply to any users of its products and services. WINNER SELECTION AND NOTIFICATION. There will be one (1) total winner chosen at random. The one (1) winner will be notified by Wednesday, July 5. If a potential winner cannot be contacted, does not respond within five (5) days from the date the Sponsor(s) first tries to notify him/her, and/or the prize or prize notification is returned as undeliverable, such potential winner forfeits all rights to win the Promotion or receive the prize, and an alternate potential winner may be selected. Upon contacting a potential winner and determining that he/she has met all eligibility requirements of the Promotion, including without limitation the execution of required waivers, publicity and liability releases and disclaimers, such individual will be declared the “winner” of the Promotion. If winner is deemed to be a minor under the jurisdiction of his/her residence, the prize will be awarded in the name of his/her parent or legal guardian who must execute the necessary affidavit and release. Total ARV for all prizes is $849.99 USD. NO PRIZE TRANSFER OR SUBSTITUTION. No prize or any portion thereof is transferable or redeemable for cash. Any portion of the prize that is not used is forfeited. No substitutions for prize except by Sponsor(s), in which case a prize of equal or greater value will be substituted. CONSENT AND RELEASE. By entering the Promotion, each entrant releases and discharges the Sponsor(s), and any other party associated with the development or administration of this Promotion, their parent, subsidiary, and affiliated entities, and each of their respective officers, directors, members, shareholders, employees, independent contractors, agents, representatives, successors and assigns (collectively, “Sponsor(s) Entities”), from any and all liability whatsoever in connection with this Promotion, including without limitation legal claims, costs, injuries, losses or damages, demands or actions of any kind (including without limitation personal injuries, death, damage to, loss or destruction or property, rights of publicity or privacy, defamation, or portrayal in a false light) (collectively, “Claims”). Except where prohibited: (i) acceptance of a prize constitutes the consent of any winner, without further compensation, to use the name and likeness of such winner for editorial, advertising and publicity purposes by the Sponsor(s) and/or others authorized by the Sponsor(s); (ii) acceptance of a prize constitutes a release by any winner of the Sponsor(s) Entities of any and all Claims in connection with the administration of this Promotion and the use, misuse, or possession of any prize; (iii) any potential winner may be required to sign an affidavit of eligibility (including social security number) and a liability/publicity release; and (iv) if prize involves travel or activities, any potential winner and travel companion (if applicable) may be required to execute releases of the Sponsor(s) from any and all liability with respect to participation in such travel/activities and/or use of the prize. Affidavits and releases must be returned within five (5) days from the date that Sponsor(s) first tries to notify the potential winner. If winner is deemed to be a minor under the jurisdiction of his/her residence, the prize will be awarded in the name of his/her parent or legal guardian who must execute the necessary affidavit and release and, if applicable, must accompany winner on the trip (no additional travel expenses will be awarded should a parent or legal guardian be required to accompany the winner on the trip). DISCLAIMERS. (i) Entries that are lost, late, misdirected, incorrect, garbled, or incompletely received, for any reason, will not be eligible. (ii) Sponsor(s), in its sole discretion, reserves the right to disqualify any person tampering with the entry process or the operation of the Promotion, who is acting in violation of the Official Rules, or who is acting with the intent to disrupt or undermine the legitimate operation of the Promotion, or to annoy, abuse, threaten or harass any other person. (iii) Sponsor(s) further reserves the right to cancel, terminate or modify the Promotion if it is not capable of completion as planned, including by reason of tampering or force majeure. (iv) Sponsor(s) Entities are not responsible for errors in the administration or fulfillment of this Promotion, including without limitation mechanical, technological, human, printing, distribution or production errors, and may modify or cancel this Promotion based upon such error at its sole discretion without liability. (v) THE PRIZE IS PROVIDED “AS-IS” AND SPONSOR(S) ENTITIES MAKE NO WARRANTIES, REPRESENTATIONS OR GUARANTEES, EXPRESS OR IMPLIED, IN FACT OR IN LAW, AS REGARDS THIS PROMOTION OR THE MERCHANTABILITY, QUALITY OR FITNESS FOR A PARTICULAR PURPOSE REGARDING ANY PRIZE OR ANY COMPONENT OF ANY PRIZE. (vi) CAUTION: ANY ATTEMPT BY AN ENTRANT TO UNDERMINE THE LEGITIMATE OPERATION OF THIS PROMOTION MAY BE A VIOLATION OF CRIMINAL AND/OR CIVIL LAWS, AND SHOULD SUCH AN ATTEMPT BE MADE, SPONSOR(S) RESERVES THE RIGHT TO SEEK REMEDIES AND DAMAGES (INCLUDING WITHOUT LIMITATION ATTORNEYS’ FEES) FROM ANY SUCH ENTRANT TO THE FULLEST EXTENT OF THE LAW, INCLUDING CRIMINAL PROSECUTION. (vii) This Promotion is not affiliated in any way with Instagram. DISPUTES; APPLICABLE LAWS AND JURISDICTION. The parties waive all rights to trial in any action or proceeding instituted in connection with these Official Rules, including, without limitation, the Promotion. Any controversy or claim arising out of or relating to these Official Rules and/or the Giveaway shall be settled by binding arbitration in accordance with the commercial arbitration rules of the American Arbitration Association. Any such controversy or claim shall be arbitrated on an individual basis, and shall not be consolidated in any arbitration with any claim or controversy of any other party. The arbitration shall be conducted in the State of Texas. THESE OFFICIAL RULES AND THE INTERPRETATION OF ITS TERMS SHALL BE GOVERNED BY AND CONSTRUED IN ACCORDANCE WITH THE LAWS OF THE STATE OF TEXAS WITHOUT REGARD TO ITS CONFLICTS OF LAWS RULES. For any matters which are not subject to arbitration as set forth in these Official Rules and/or in connection with the entering of any judgment on an arbitration award in connection with these Official Rules and/or the Sweepstakes, the parties irrevocably submit and consent to the exclusive jurisdiction and venue of the state and federal courts located in or closest to the County of Dallas in the State of Texas. All judgments or awards shall be limited to actual out-of-pocket damages (excluding attorneys’ fees) associated with participation in this Promotion and shall not include any indirect, punitive, incidental and/or consequential damages. The parties agree not to raise the defense of forum non-conveniens.